I'm in the process of selecting an HTML5 template for my web projects. I've been using HTML5 Initiliazr which uses Boilerplate for the last few months but decide to reevaluate the two templates, since I don't like the issues with HTML5 Boilerplate's CSS not being valid against W3 CSS validator (CSS3). Now my question is, given the fact that both CSS resets also take into account vendor quirknesses, will those resets ever be completely valid or is it impossible to assume such a thing? I did noticed that HTML5 Reset actually has a few issues less than Boilerplate but that might change in the future. However, I did read Boilerplate's explanation on why each and every style was introduced and what problems it solves, so it kinda makes sense. And seems to be widely used. My question is: first, does this have any real basis? I've done testing in Firebug and it seems to have some small effect, but is it trivial? Images and other sources don't seem to start loading until CSS files and script files have loaded, but sticking them on the bottom doesn't seem to make much difference in this at all. What is the use of the hackers.txt file? No I am not asking you to teach me hacking, I am just curious about this file and its content. When I dived into the new HTML5 Boilerplate I came accross the humans.txt. I googled for it and I came at this site http://humanstxt.org/. Do I read this correctly? Hackers.txt? When I started reading this I had the feeling that its about the difference between Hackers and Crackers. Later I got the feeling that I'm might be wrong and that this place is that this hackers.txt file is a sort of guestbook for hackers? Some files contain code, others have just hurtfull information. Now I'm realy confused, guestbook, hack tutorials or just history? What is the use of this hackers.txt file? What is the purpose of the HTML "no-js" class? I notice that in a lot of template engines, in the HTML5 Boilerplate, in various frameworks and in plain php sites there is the no-js class added onto the <HTML> tag. Why is this done? Is there some sort of default browser behavior that reacts to this class? Why include it always? Does that not render the class itself obsolete, if there is no no-"no-js" case and html can be addressed directly? As you can see, the <html> element will always have this class. Can someone explain why this is done so often? Can we use Foundation with HTML5Boilerplate? My client wants me to use Foundation. I am habitual of HTML5Boilerplate with 960 Grid System. I am just wondering can I use Foundation with H5BP? I will appreciate your guidance. I just created an HTML 5 Boilerplate project in WebStorm. Is there a standard command for compiling the "dist" folder? I'm getting started with WebStorm 9. I created an HTML 5 Boilerplate project and I noticed a src and a dist folder. Is there a standard command to compile the content of the src folder into the dist folder? is bower install html5boilerplate is a good thing ? Is there a Twitter Bootstrap equivalent of HTML5Boilerplate's .visuallyhidden non-semantic helper class? I can't see anything similar in the CSS files. The purpose of the .visuallyhidden class is to visually hide it, but make the text available to screenreaders. Is there a different Bootstrappy approach to achieve the same goal? Above navigation bar and place my logo there. Can someone please provide me a sample code with css on how I can achieve this ? As I heard that some minimum padding is to be maintained so that the responsive navigation works if seen through a mobile device. How to use the .clearfix class? I think I'm misunderstanding the concept of the .clearfix class. Maybe somebody can help me out. I'm looking for a way to use float and clear without messing up my markup. So I thought, that's where .clearfix can be used for. What the .clearfix class really can be used for? I'm building an adaptive/responsive website. When initial-scale=1 was included, rotating from vertical to horizontal (on iPad/iPhone) caused the layout to change from 2 columns (for example) to 3 columns (due to meida queries, initial-scale=1 and JS fix for viewport scale bug). Note: You can see this zooming effect in action when viewing the HTML5BP website on an iPad/iPhone. Is this becoming the new standard (i.e. zoom when in landscape mode)? I'm having a heck of a time explaining this change to my co-workers and bosses... They're used to seeing a different layout in horizontal mode; now that the page zooms and the layout stays the same (except it's larger). Any tips on how to explain this to the ignorant masses (of which, I might be included)? @robertc: Thanks! That's very helpful. I actually like not having the initial-scale=1; it's my co-workers who are used to seeing the layout change rather than zoom. I'm sure I'll be forced to add initial-scale=1 just to please everyone (because not zooming, and seeing the layout change, is what they're used to seeing). What is the value of HTML5 Boilerplate for a Rails application? There's some CSS help like CSS normalization, placeholder CSS Media Queries, and CSS helper classes but it seems you'd get all of them and more with a CSS toolkit such as Skeleton, Twitter Bootstrap or Zurb Foundation. Finally, HTML5 Boilerplate has lots of components for websites that need to support IE6, 7, and 8 such as IE conditional comments, Modernizr, and Chrome Frame. But if I'm not supporting IE6 and I'm using Twitter Bootstrap or Zurb Foundation I don't think I need these. HTML5 Boilerplate is a good project that has lots of community input. There's a lot of good advice on its website. But for a Rails project? Am I missing something? What is the value of HTML5 Boilerplate for a Rails application? 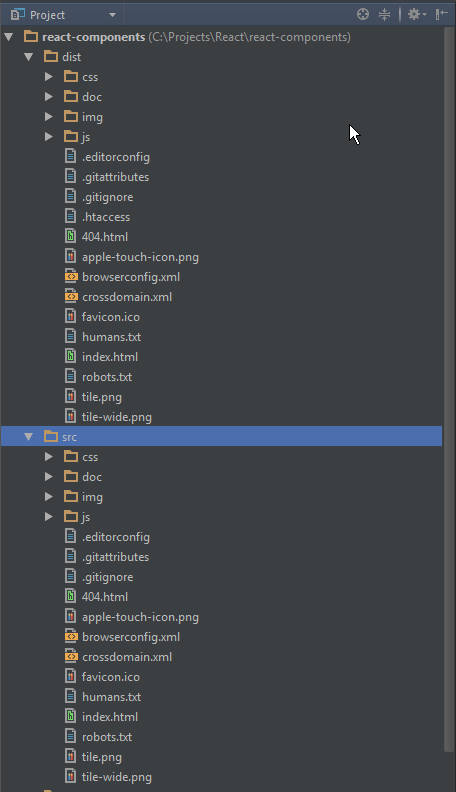 How is one expected to include additional js files in plugins.js? Is the expectation that we just copy and paste the contents of each plugin there? Or is there some method of doing a js include that I should be using? I would like advice on whether to use HTML 5 Boilerplate or Twitter Bootstrap for a web application which may use JQuery UI controls. Also is it possible for me to replace the Bootstrap controls with JQuery UI equivalents? In all of the AngularJS examples, the Angular library is placed in the HEAD tags of the document. I have an existing project that has been built upon the HTML5 Boilerplate layout. This defines that JS libraries should be placed at the very bottom of the DOM before the </BODY> tag. Does AngularJS need to be placed in the HEAD?